Rabri said if Kishor denied having met Lalu with such a proposal, then he was 'lying'. 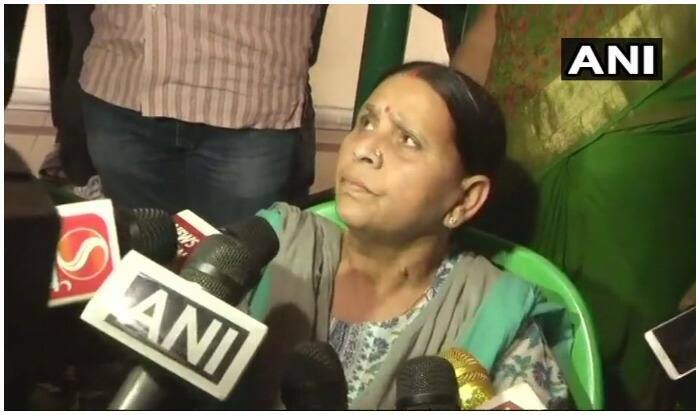 Patna: Former Bihar chief minister Rabri Devi has claimed that poll strategist Prashant Kishor had approached Lalu Yadav with the proposal to merge his RJD with JD(U). She also added that he expected the new party to declare its PM candidate before the Lok Sabha elections. She said that if Kishor denied having met Lalu with such a proposal, then he was ‘lying’. “I asked him to go away as I had no trust left in Bihar Chief Minister Nitish Kumar following his betrayal,” the RJD national vice-president told a regional news channel here. In 2017, Nitish had walked out of the Grand Alliance which had the JD(U), the RJD and the Congress. Nitish, meanwhile, went back to the BJP-led NDA. She said, “All our staff and security personnel deployed here were witnesses. He called on us at least five times, mostly here (her residence),” and a couple of times to her younger son Tejashwi Yadav’s residence. “Kishor was sent by Nitish with the proposal…he did not come in the dark of night,” she said. Rabri’s revelation came close on heels of Lalu’s autobiography that claimed that Kishor had met him with the proposal that the JD(U) be merged in the Grand Alliance again. Singh is a mafia don-turned-politician representing Mokama assembly segment. He was reportedly close to Nitish before a fallout ahead of the 2015 Assembly elections.